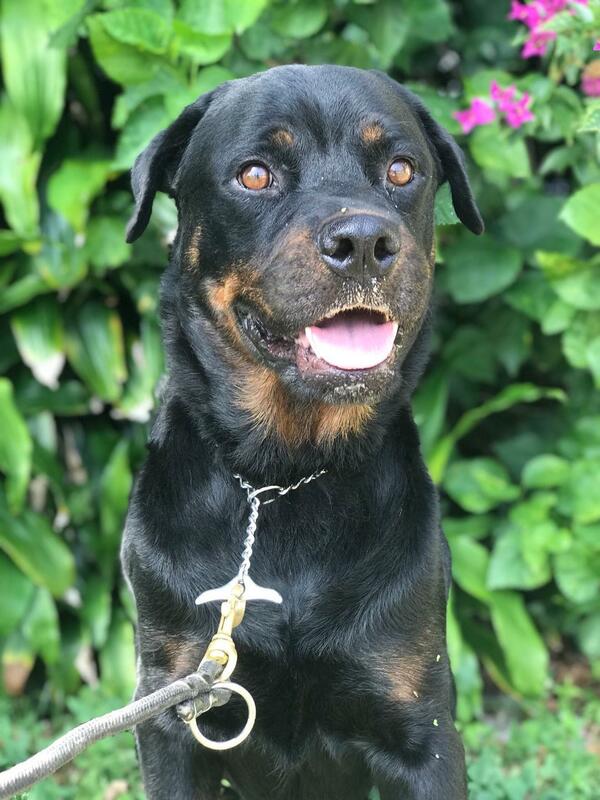 He’s estimated at 3 years, already neutered, HW neg, UTD, and his dewclaws were removed. He is very very VERY friendly. He’s met a ton of people and there has never been any aggression. Twice he’s hesitated when meeting a man, but is quickly won over with food. No resource guarding towards me. He can be handled all over his body without issue. I can even trim his nails without a muzzle (!!!). 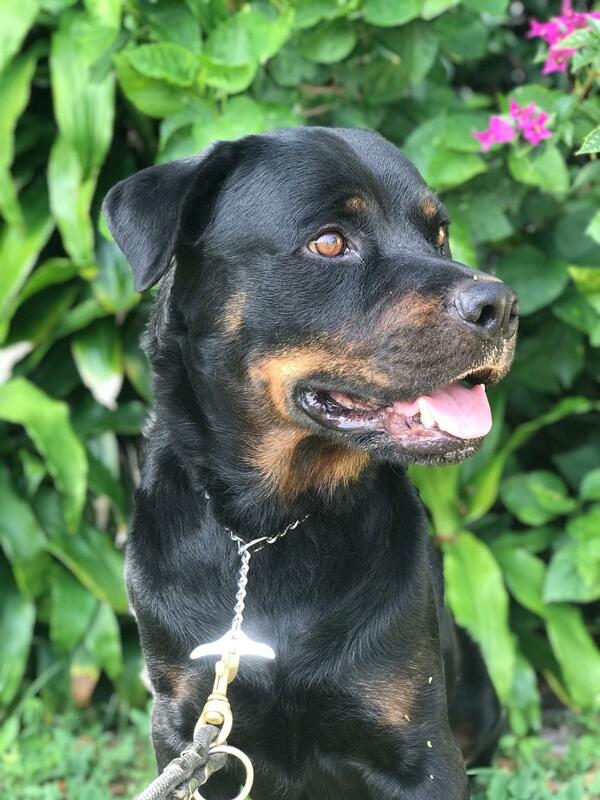 He’s seriously one of the nicest Rottweilers I have ever met. He had never lived with other dogs before and was aggressive upon first meeting them, but he has now been fully integrated with my pack of 7 (all adopted because they were going to be euthanized for aggression, some with extensive bite histories: 4 rots, 2 GSDs, and a pit/Dane cross... not easy dogs to get along with by any stretch but he really defers well to all of them, males and females) with no issues for several months now. He will guard food from other dogs so he does need to be fed in a crate with the door closed, but that’s my recommendation for any dog in a multi dog household anyway. He’s met a few other dogs on leash with no issues as well. He’s sniffed a cat before, but then chases and barks at them. Most people don’t want a project, so I’m saying no to homes with cats. He is very hyper and strong. Will be destructive if left uncrated- he basically acts like a puppy. When out with you he settles quickly or plays by himself with his toys, that is, if he ever stops licking you. 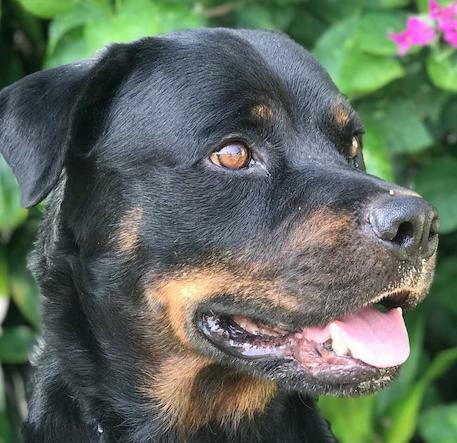 He is SUCH an awesome dog for practically any Rottweiler lover. Seriously one of the nicest I’ve ever met. I’m also offering free training to any adopter.